There is a war raging today. It is intense. Aggressive. And intrusive. It affects all of us. None of us are exempt from the attacks and assaults we are facing today that impacts our lives on all fronts. Now, the war is not what you may think it is. For though we walk in the flesh, we are not waging war according to the flesh. For the weapons of our warfare are not of the flesh but have divine power to destroy strongholds. We destroy arguments and every lofty opinions raised against the knowledge of God, and take every thought captive to obey Christ. The war that should concern all of us is the spiritual struggle that we wrestle with daily. It is a battle faced by the young and old alike. It is fought in the marketplace. In our educational institutions. In the political arena. In our culture. And it is not confined to one geographical location. It is worldwide. Too often we think that our war is fleshly and can be won with fleshly weapons. If we can “drain the swamp” in Washington. If we can get a conservative on the Supreme court. If we can overturn Roe v Wade. If we can return to a respect for decency. Morality. And God’s marriage laws. Then life will be better. And our future more secure. While all these goals contain some merit and offer some positive benefits, the real issue is the spiritual corruption in the hearts of people. Sin is the problem. And the gospel is the answer. 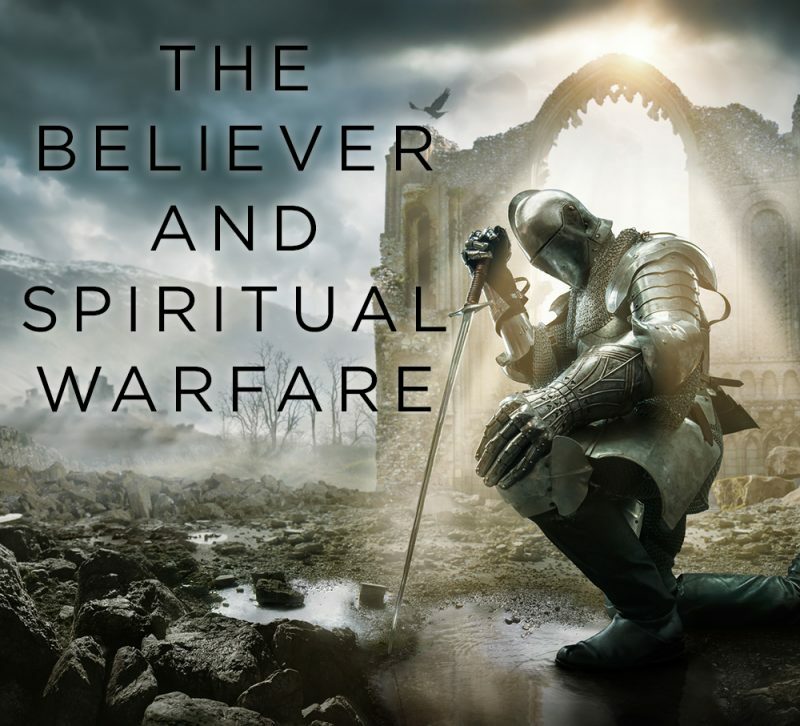 The command to “fight the good fight of faith”(1 Tim. 6:12) speaks to higher motives, nobler goals, and eternal rewards. But there’s something else implied here, though not specifically stated. The battle is for the hearts of men and women. And it is the struggle we all face within our own hearts. Jesus warned, “For out of the heart proceed evil thoughts, murders, adulteries, fornications, thefts, false witness, blasphemies” (Matt 15:29). That’s why the wise man instructed: “Keep your heart with diligence for out it spring the issues of life” (Prov. 4:23). Satan is seeking to control your heart. To cloud your mind. To corrupt your feelings. To compromise your values. To curb your appetite for spiritual things. And to contaminate your soul. The war within us is a battle against ignorance. Satan wants us to blind us to the truth. Keep us in spiritual darkness. And to remain unlearned and illiterate regarding God’s will and Word. The war within us is a battle against immorality. Lust that foments in the heart will finally express itself in unrighteous actions. The war within us is a battle against wrong attitudes. Envy, jealousy, pride, and selfishness are sins of the heart that ultimately are acted out in ungodly actions. The war within us is a battle against deceit. The devil is the great deceiver. We can be deceived by others. But the Bible also warns against self-deception. The war within us is a battle against apathy and indifference. Our hearts can grow cold and our ears become dull of hearing Bible teaching and gospel preaching. To win the war, we must begin within ourselves. Our hearts must be right with God. And then the battle is really for the hearts of lost souls. Winning outward and secular battles may make us feel good, but they are not the supreme reason why we are here on earth. Never forget this. God’s cause will win. The devil will be defeated. And those whose hearts are cleansed by the blood of Jesus will live with Him forever.